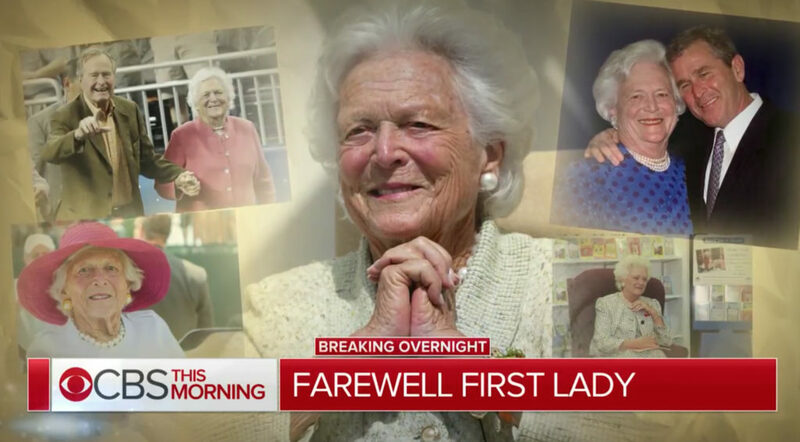 Network morning shows dedicated significant coverage Wednesday, April 18, 2018, to covering the death for First Lady Barbara Bush, who died Tuesday evening. 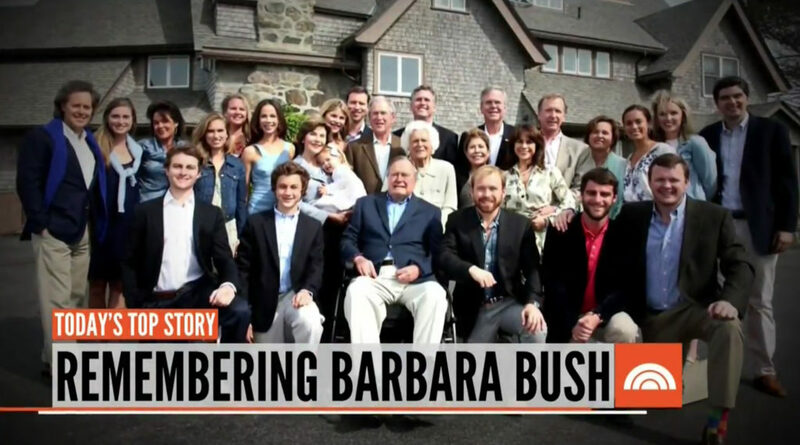 The announcement of Barbara Bush’s death came too late to make the networks’ Tuesday evening newscasts. 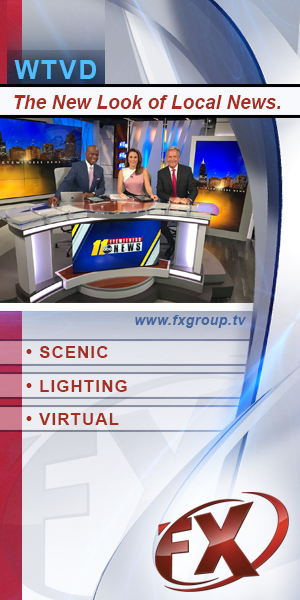 All three broadcasts led with the story, though “Good Morning America” opted to lead with the accident aboard a Southwest Airlines flight in its teases. 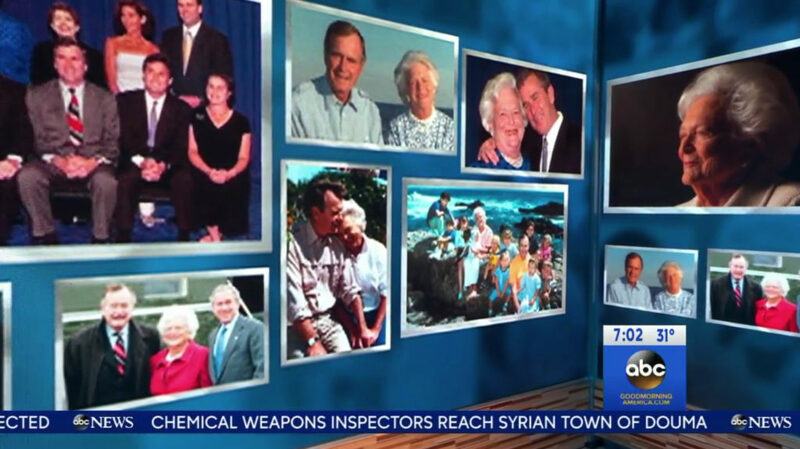 “GMA” also used its studio video walls to showcase a collage of photos from Bush’s life. 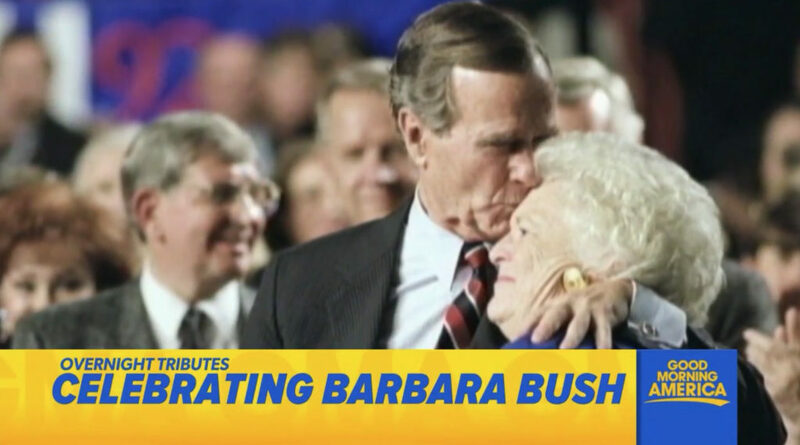 “Today” offered extensive coverage Barbara Bush’s life as well, including making it the top story in its teases and anchors Savannah Guthrie and Craig Melvin, in for Hoda Kotb, tossing to field reports and conducting on-set interviews. 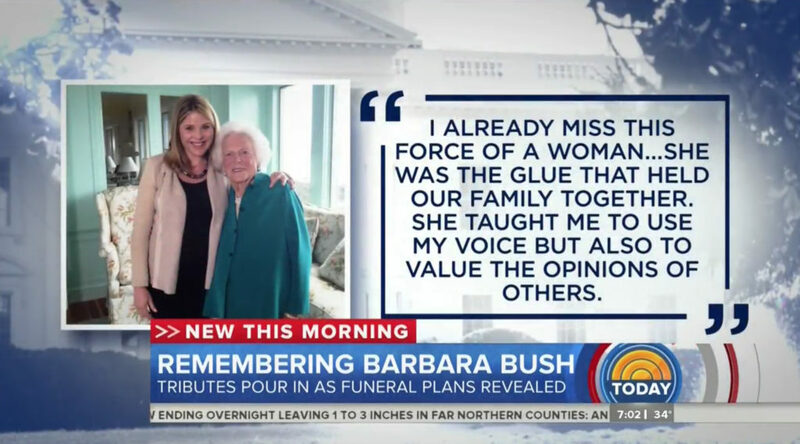 The “Today” team also sent condolences to Jenna Bush Hager, Barbara’s Bush’s grandmother and daughter of former president George W. Bush, who serves as a guest host and correspondent for the broadcast. 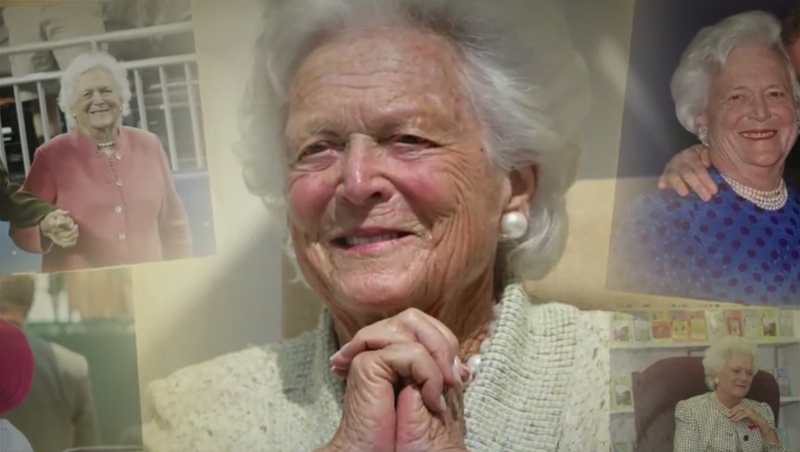 Posts from Hager’s social media were shown near the top of the show, set against a stylized blue and white White House background that was also used for more of the broadcast’s coverage. On “CBS This Morning,” co-anchor Gayle King joined the show live from Philadelphia for an interview with Starbucks CEO Kevin Johnson.